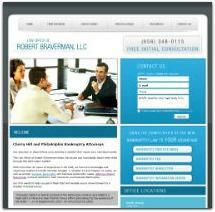 At the Law Office of Robert Braverman, LLC, we guide clients thorough the bankruptcy process. We help individuals obtain debt relief and businesses regain their financial health. While our firm has extensive experience with complex Chapter 13 and Chapter 11 bankruptcies, we also handle simpler bankruptcy cases. Regardless of the size or complexity of the case however, we provide the same high level of service to each client. In this difficult time in your life, we will be there to provide the advice, support and representation you need to overcome your financial problems and move forward again. The founder of our firm, Robert Braverman, has practiced bankruptcy law for over 25 years. He is one of a select group of attorneys in New Jersey who have been board certified by the American Board of Certification in both business bankruptcy law and consumer bankruptcy law. In addition to his private practice, Mr. Braverman is an adjunct professor at Rutgers School of Law, and frequently lectures on bankruptcy topics to consumers, business owners and attorneys. Robert Braverman and his staff treat every client with the respect and dignity they deserve. Mr. Braverman will take the time to explain the bankruptcy process, discuss the unique issues your case presents and recommend the best course of action to help you meet your goals. If filing for bankruptcy is not the right solution for you, he will tell you why. If it is, our firm can take immediate action to protect your assets, stop creditor harassment and begin formulating a plan to reduce or eliminate your debts. Our firm has offices in Cherry Hill, New Jersey, Philadelphia City Center and Northeast Philadelphia. Mr. Braverman can meet with you during regular business hours or during the evenings by appointment.